Mark's Space To Share His World. Nothing Less Than Pure Honesty. The god Tir is the original creator god who became replaced by Odin in Norse mythology. Tir, or Tiw (in Anglo-Saxon, hence Tiw’s day) was not the benevolent creator of the Christian church, but a warrior god akin to Mars. The appearance of Tiwaz in any reading points to battles, competition and dynamic energy. 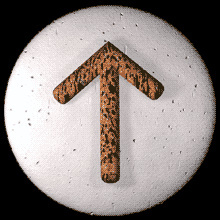 In ancient times, the appearance of this rune would almost certainly have signified actual physical battle and the preparation associated with it – sharpening of swords and axes, making bows and arrows, stocking up on food and seeing to the animals. This is unlikely today, but the analogy can be stretched. Tiwaz shows that the person being read is about to embark on an enterprise that with need a great deal of energy – moral, physical or both. The enterprise will be competitive in some way, whether in business, the courts of law, or in the form of moral argument one needs to win. If the person is involved in business dealings then Tiwaz implies that there are likely boardroom battles ahead and that it will be necessary to be well prepared. “Winning” is the clue to understanding this rune: blood may have to be spilled but victory must be assured. When Tiwaz is drawn reversed, it signifies that the person is in a rather weak frame of mind, lacking any real will power or motivation. It implies a certain expectant laziness, as if the world owed them a living and everything would simply turn up through no effort of their own. If the question concerns business, then things will not get better until the person gets a grip on themselves. In affairs of love it indicates difficulties ahead and a possible breakdown of communications, while in health it shows that the person may be in a poor physical state. 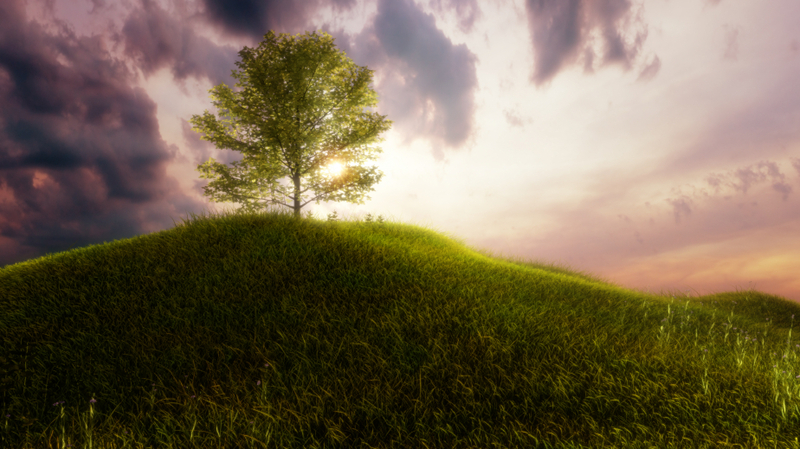 Prayer can mean to some, “a conscious contact with God as we understood him,” which is important in one’s recovery or quest toward personal growth. There are many ways to pray and each of us has a style that uniquely expresses our spirituality. Meditation or even the singing of a hymn are examples of any number of ways in which people pray. Once we open ourselves to the Universe and the concept of something out there larger than ourselves, we can get comfortable with our own way of praying. It may mean leaving past ways behind. Maybe we’ve been used to prayer that relied only on words. Perhaps we used to pray for what we wanted, making sure we told God precisely what was best for us and everybody else. Or maybe we didn’t pray at all because we didn’t know how to, or were afraid. I remember growing up in the Lutheran church, Missouri synod and having to attend confirmation class every Saturday morning, grades 6 through 8. I still remember our pastor teaching us “how to pray.” According to this pastor, we first had to tell God how sorry we were for all of our sins, original (sin that comes along with every human) and those we knew we had committed. Then we were to humbly ask for God’s forgiveness. Next we had to praise God; tell him how wonderful we knew him to be and how much we loved him. Finally, we could ask for what we needed, with the understanding that only God knows what is truly best for us. Lastly, we were to thank God for all he has done for us and that which we hope for him to do in the future. No other song, no other prayer, no other piece of liturgy is so well-known and loved in my Unitarian Universalism church home as “Spirit of Life” by Carolyn McDade. In six short lines “Spirit of Life” touches so much that is central one’s need to communicate with our Higher Power: compassion, justice, community, freedom, reverence for nature, and the mystery of life. It finds the common ground held by humanists and theists, pagans and Christians, Buddhists and Jews, gay and straight among us. Spirit of Life, come unto me. Sing in my heart all the stirrings of compassion. Move in the hand, giving life the shape of justice. Spirit of Life, come to me, come to me. Thankfully, we don’t need to worry about how to pray; the Universe shows us how. We must however, be willing to move from the everyday world to a place where it is just the Universe and us. It is an exciting part of one’s spiritual journey to develop new ways to pray, trusting our relationship with the Universe to deepen the experience. What matters most is that we give ourselves to it. When our prayers are from the heart, we know it, and are at peace. Helen Hoover was a writer about nature as well as being a metallurgist. She died in 1984 at the age of 74. President Obama has in the last two days, begun to rectify some of the environmental mistakes made by the Bush administration. California and some other states will be able to set their own, higher emission standards. Yesterday, my minister at the Unitarian Universalist church I attend discussed how we can have a right relationship with our environment and interconnected web of existence. I began thinking that sometimes, in my grandiose view of myself and the world, I think I have all the time and space I need to do my will. But in reality, our resources are limited, and already we are losing needed material and precious species that will never return to our planet. Let us remember we are here only for a short while, but others will come after us. We need to take care of our earth just as much as we need to take care of ourselves. If we think only of our own pleasure, we are likely to become selfish and live destructive lives. Those of us who have chosen a path of personal growth probably realize how much we have squandered our energy and dissipated vital forces. We may have tried to impose our fantasies and our wills on other people and we abused those who needed our love and trust. We thought we were little gods and that the world was here just for us. We can still learn how to have that right relationship with the world that surrounds us. It is good to be aware of all that is special in this world, including ourselves. If you are not over the age of 18, please exit this blog site now. Thank you. Damn Heels Hurt! When In Pain, Who Knows Best Where it Hurts? preparechallengecrea… on Where Is My Light? Chaz: A fellow blogger with real insight!